Discover and get to know Madrid on this 2h30 walking tour. Visit the main and most emblematic attractions of the city centre and enjoy the beautiful squares and the narrow & twisted medieval looking streets of the Old Town. Learn about Madrid and its history. 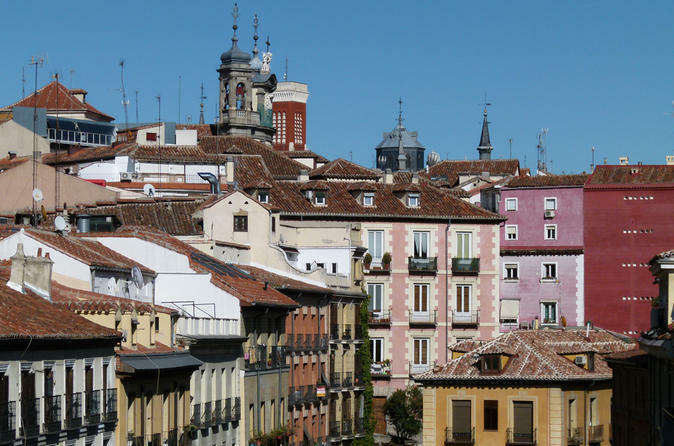 Discover how Madrid has come to be the only European Capital ever founded by the arabs. Meet your guide at the central square of Puerta Cerrada, a symbolic and interesting departure place that was once in 12th century the limit of the city. Start the tour walking through the colorful streets and learn about Madrid's history. Visit the beautiful and famous Mayor Square, get to explore San Miguel Market and arrive later to Plaza de la Villa, the oldest square in town. Continue towards the famous square of Puerta del Sol, home of " the Bear and the Tree" statue. Walk through Arenal Street and arrive to the Opera House. Explore later the Orient Square and the Sabatini gardens. Admire the impressive Royal Palace - former residence of the spanish royal family- and Almudena Cathedral.